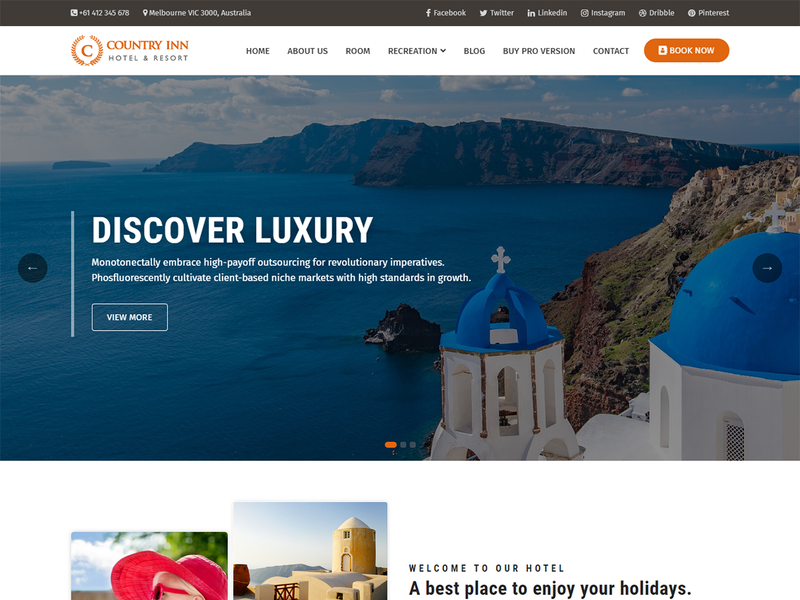 Country Inn WordPress Theme is a responsive WordPress theme created especially for hotel. Built with the latest WordPress technology. Country Inn support responsive layouts built especially for hotel website so it looks great on all devices. Including various ready to use websites for different kinds of hotel for example luxury hotel.